A day after winning the trust vote, Bihar Chief Minister Nitish Kumar on Saturday expanded his Cabinet, inducting 27 ministers – 14 from his Janata Dal-United and 13 from the BJP-led NDA. Governor Keshari Nath Tripathi administered the oath to 26 new ministers at the Raj Bhawan. 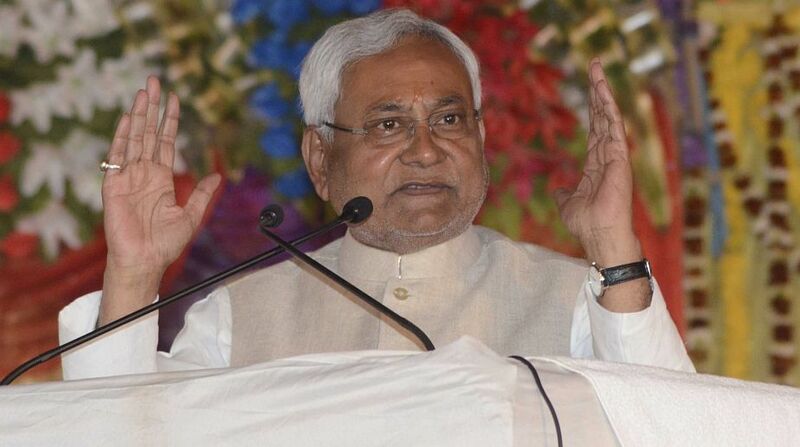 Nitish Kumar refused to induct ministers from two allies of the NDA in his cabinet — Rashtriya Lok Samta Party (RLSP) of Union Minister Upender Kushwaha and Hindustani Awam Morcha (HAM) of former Chief Minister Jitan Ram Manjhi. Besides the 14 ministers from JD-U, 12 ministers are from the BJP and one from its ally LJP. The JD-U has inducted most of those from the party who were ministers in the previous Grand Alliance government, to avoid any controversy. On the other hand, the BJP named those as ministers who are considered close to Deputy Chief Minister and party leader Sushil Kumar Modi. Manjhi, sensing trouble from Nitish Kumar, on Friday itself said he was not keen to join the cabinet and would work to strengthen his party. Nitish Kumar has not forgotten how Manjhi had betrayed him when he was appointed Chief Minister in 2014 by him. Manjhi had lobbied with the BJP to induct three leaders of his party into the cabinet after it was decided that Pasupati Kumar Paras from the LJP will be inducted in the cabinet. Paras is the younger brother of LJP chief and Union Minister Ram Vilas Paswan. Paras is not a member of the legislative assembly. He was defeated in the 2015 assembly polls. Paswan is said to have put pressure on the BJP to induct him in the cabinet. "Manjhi reportedly told BJP leaders that if Pasupati Kumar Paras can be inducted in the cabinet despite the fact that he is not a legislator, then his party leaders should also be inducted on the same lines," a BJP leader said. Manjhi is the lone legislator of his party. JD-U leaders said that Nitish Kumar has strong reservations against Upender Kushwaha, who had repeatedly attacked and targeted him in the last three years. Kushwaha is a friend-turned-foe of Nitish Kumar in the state politics. "Nitish Kumar does not like Upender Kushwaha. When he proposed the name of one of his party legislators to be inducted in the cabinet, Nitish Kumar said no to it," another JD-U leader said. Nitish Kumar on Wednesday resigned as the Chief Minister, dumping Grand Alliance partners Rashtriya Janata Dal and the Congress. He again took oath as the Chief Minister with the support of the National Democratic Alliance on Thursday. Senior BJP leader Sushil Kumar Modi took oath as Deputy Chief Minister.